This book illustrates how to effectively incorporate the Reading Apprenticeship instructional model into secondary teacher preparation programs. Arguing that teacher education programs need to foster a broader understanding of adolescent literacy, especially if teachers are to help their students read in discipline-specific ways, the authors show how Reading Apprenticeship can strengthen content-based instruction, how elements of the model can be embedded in teacher preparation curricula, and what types of course activities enable new teachers to understand and practice this approach. The Reading Apprenticeship framework has received national recognition as an effective, research-based instructional approach that supports all students in successfully engaging with and learning from academic texts. First introduced in Reading for Understanding by Ruth Schoenbach et al., the approach is based on a program with a proven record of success in boosting the reading levels of urban high school students. Emphasizing social, personal, cognitive, and knowledge-building tools, the Reading Apprenticeship approach can be useful to teachers in any content area classroom. Visit Reading Apprenticeship for more information. It is refreshing to read a book geared for teaching preservice and practicing teachers that respects the knowledge they bring to the classroom and builds upon their abilities to take critical and inquiring stances on content area literacy. Finally, a book on content area literacy with a bigger vision concerning what it means for adolescents to read in the disciplines and how teachers can support such reading. Braunger and colleagues offer a set of practices for engaging preservice teachers in learning how to use literacy in content teaching. Their approach is a vast improvement over former models of content-area literacy teacher education. The book is thick with resources, strategies, and reflective practices, and I look forward to using it as a resource for my own teacher education and professional development practices in large urban middle schools and high schools. 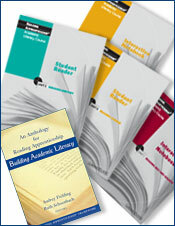 This package of student materials for Units 1, 2, and 3 of the Reading Apprenticeship Academic Literacy Course includes all of the materials that students need to participate in the full two-semester course. 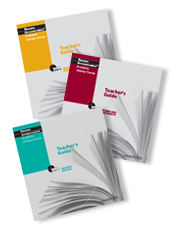 This package of Teacher's Guides for the Reading Apprenticeship Academic Literacy Course includes all teacher materials needed to teach the full two-semester course. Reading Apprenticeship for Middle School and High School: Site-Based Professional DevelopmentReading Apprenticeship Teacher Institutes for secondary school teachers and instructional leaders can be on-site and customized, or 3-day national institutes .